As a new business owner, you need clients fast. One way to help you get clients fast is credibility – without it, you won’t get clients. In this article you’ll learn 23 ways you can build instant credibility that don’t cost the earth, even if you don’t have clients. They are all based on the science of social proof. When we see others doing something, we believe it is the correct behaviour. How many times have you bought something on Amazon by looking at the number of five star reviews? They made the decision for you. Science adds weight to your offering. What research studies can you point to that supports the need for your offering? People pay more for specialists than generalists. How can you specialise further, in your market? Is there a membership association in your industry you could join? When you join, make their logo visible on your website. This is a strategy one of my coaching clients used. If you don’t have budget to join, offer your services to help the organisation’s members – before you do, ask if it’s okay to place their logo on your website. Last year, after deciding to stop social media and start PR, I received mentions in The Guardian, USA Today, Entrepreneur, Huffington Post, and more. You get instant credibility to an established massive audience. Another coaching client followed this strategy, by offering mentoring services for a reputable organisation. This gave her credence to put their logo on her website. Contrasting your services with the market offering shows you know your stuff and makes it easier to evaluate your offering. What can you compare your offering to and come out smelling like a Lily of the Nile? Mention credible sources in your communication – people believe and are impressed by well-known names. It’s called the halo-effect, a cognitive bias where we judge someone’s opinion based on our overall impression of them. Make sure your photos are professional. Nothing screams amateur more than selfie-pics for your website or social media profiles. With video, use good lighting and good sound, they’re more important than background, etc. But obviously don’t have your dirty underwear visible in the frame! Do you have public reviews? Make them visible. By the way, my latest book is available for pre-order, you can buy your copy for less than a fiver, here, before it goes up to the full price. If you’ve won an award, make it visible. If you haven’t, what industry contest can you enter? Obviously it has to be relevant. Competing in your child’s sports day won’t work. Which famous person or influencer can you get to endorse you, your product or service? 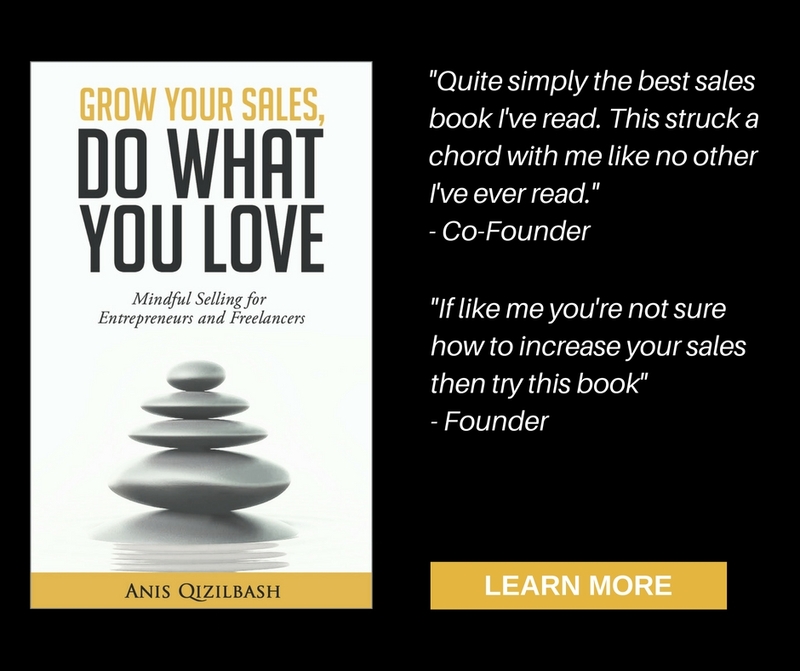 Introducing 110% money-back guarantee for Conscious Cold Calling, helped our sales grow. Yes, we pay you if you aren’t happy. What guarantees do you offer? How can you make it better? When you tell people what you can’t do, people believe what you can. Like, I can’t ballet dance or twerk. But I can moonwalk and running-man. Whenever you can, share something about you to create a connection. While we’re here…my cat answers me back when I talk to her. You position yourself as an authority when you advise people with valuable content. Focus on giving and helping. You have to earn the right to “ask”, it’s not a given. I send over 60 emails, of pure value, a year to my beloved family of subscribers, out of which, about 10 are just “asks”. Smart visuals, infographics and charts, demonstrate authority – it communicates with the logical part of our brain. Ask often. Not the same person over and over. And video them if you can. Did you receive my email with those magic questions to get stunning testimonials in days, instead of mediocre ones in weeks? My clients are using it, and they work a treat. If you want to know what they are, watch the top two videos and note down the questions I ask. This can be online with webinars or in person, but your content has to be amazing and delivery, fantastic. One client said she tried it but “it doesn’t work”. When I asked her what her presentation was about, it was all scientific studies and research. It’s important to include studies, but don’t put everyone to sleep. My first talk for my business received £1000s in referrals. For more on speaking tips, read: how I overcame my fear of public speaking. Out of desperation and limited funds, we stumbled on this idea for our second business, a startup media company. To create content, we landed interviews with people like Vice President of Ethiopia, Interior Minister in Afghanistan, CEO of Samsung Africa, and more (see how cold calling has multiple uses? You can make things happen). These interviews earned us the attention from the head of UNDP, the Gates Foundation and many more, and, eventually, an investor. Who are the influencers in your industry? Shortlist ten, reach out and interview them for content. Listen to my latest interview, with world-renowned mediator and negotiator, William Ury. He’s such a lovely guy!! Your kind of heart-centred person. Place your client logos visibly and smartly laid out on your website. How can you demonstrate your expertise? Can you share a video or do you have demos of your products, visible? People crave connection and to be a part of something bigger, so make your history, mission and values known to people who meet and visit you. Without social proof, no one will buy from you. The more credibility you stack, the easier you make it for people to buy from you. But developing credibility alone won’t make people buy from you. It brings your target audience closer to you. You need to turn those interested and curious people into buyers and raving fans (remember the post on what business owners get wrong about marketing?). That’s where your communication – in person or online, makes or breaks the sale. If you don’t know the right thing to say, you’re wasting opportunities. Which one will you do, today? Tell me, I’m really nosey, my cat gets her curiosity from me. PS. Look what you did! The other day we received an email from Kiva, an organisation that allows you to give loans to entrepreneurs in low-income countries. 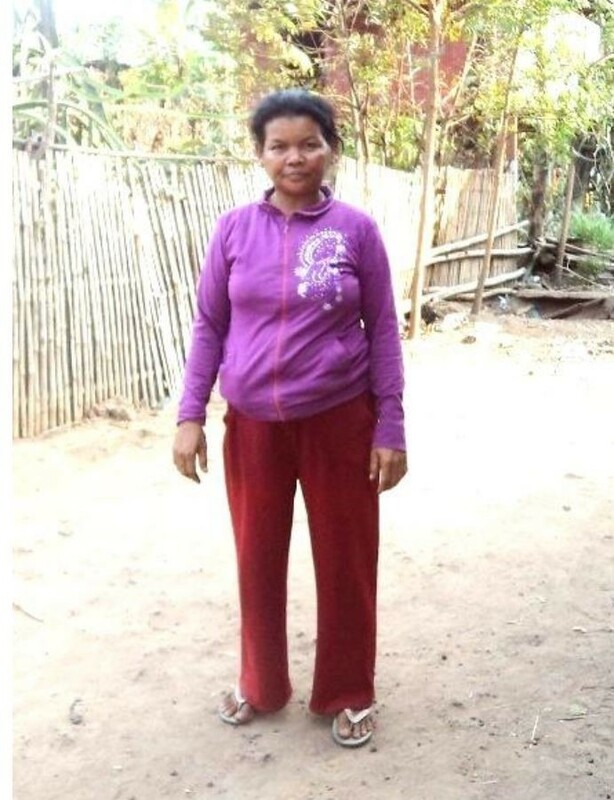 A year ago we gave our first loan to Noeurn, a Cambodian mother of four in Tbaung Khmum Province. She’s an entrepreneur who was in need of a loan to buy more fertilisers and pesticides and wanted to hire someone to increase her productivity. We forgot about the loan, as my wife and I aren’t looking for a return. The wonderful surprise email told us she paid back the loan. Noeurn grew her business and is creating opportunities for her community and her family. It brings me tears writing this, but we owe this all to you wonderful people who’ve invested in our online products. A percentage of each purchase of our flagship programmes, Conscious Cold Calling and book sales went towards helping Noeurn. With your continued support of Mindful Sales Training, the returned loan will be reinvested and added to, to help two more people like Noeurn. When you invest in your growth through our online products and books, you’re investing in someone else’s growth and impact. Thank you from the bottom of my heart for giving us this opportunity to make a difference.